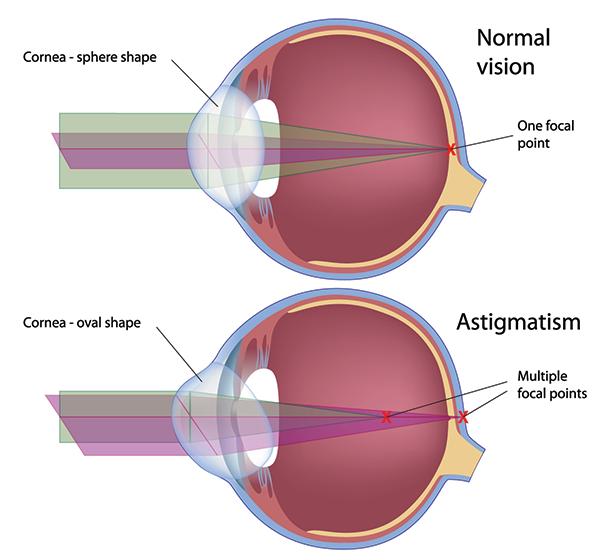 >Astigmatism is a common eye condition that is corrected by eyeglasses, contact lenses, or surgery. Astigmatism is characterized by unequal curvatures of the cornea. Astigmatism can occur in nearsighted, farsighted persons, or can be found alone , in all cases it results in blurry vision.